Are you confident that your old furnace can meet the demands of your home during the winter months? Make sure by letting our clean, screened, trained and timely heating techs perform expert Springfield furnace repair and maintenance services. Call (937) 488-4758 before there’s a problem. 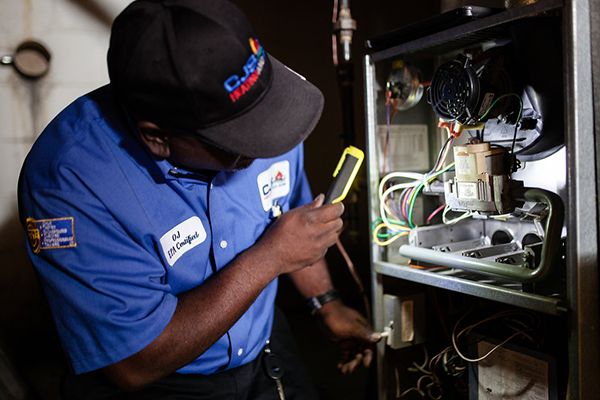 When you work with our professionals, you will rest easy knowing that your furnace is properly maintained. From cleaning the unit, to making minor repairs as needed, our Springfield furnace maintenance solutions are the very best. Also, these services can be scheduled in advance to ensure that you never miss an appointment again! At CJS Heating & Air, our number one priority is you, the customer. When you choose us for your home heating and cooling needs, we go above and beyond to make you our customer for life. Our furnace repair and maintenance solutions are the best in and around the Springfield area. Looking for a Springfield furnace repair and maintenance specialist you can rely on? Call (937) 488-4758 and schedule an appointment to get the very best furnace solutions from the very best specialists in and around Springfield.